It might look like this! And for your information, this pattern is called "Krishnan Chalangai" which means Lord Krishna's anklet. Generally, people draw this on Janmaastami - Lord Krishna's birthday! 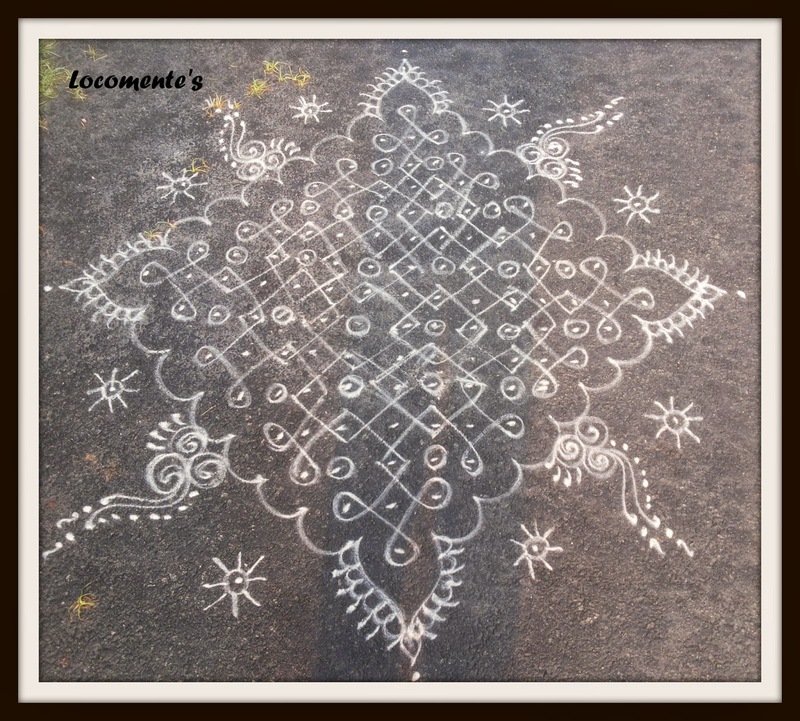 Beautiful kolam. I have seen my amma put this kolam. Wow! wow! 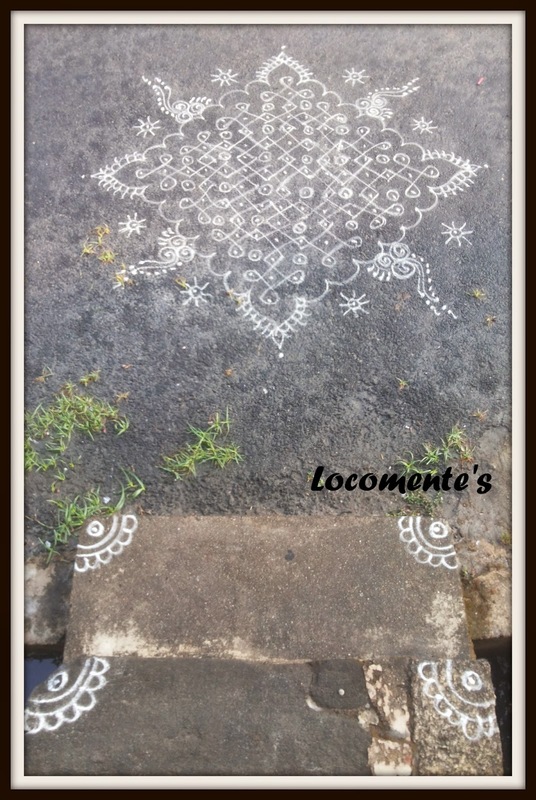 got reminded of the elaborate kolams depending on what day is it back at my moms place. Thanks a lot. Glad that my kolam reminded of your childhood days! !